Long stay – when you need to stay a bit longer! Larger project at work or at home? 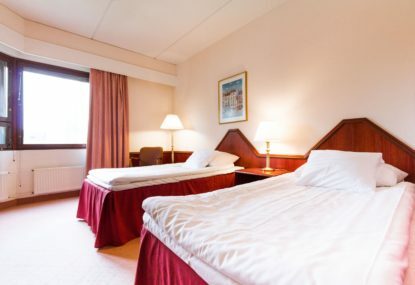 We offer flexible and easy long term accommodation solutions in connection with hotel conveniences. Furnished apartments are located in the Hotel Oscar premises offering safety and 24/7 reception service. Long stay can be booked with or without hotel breakfast. All rooms have following amenities: 100 cm wide beds, bathroom with shower or bathtub, flat screen tv, work desk, hairdryer, wardrobe and blackout curtains. All rooms are non-smoking. 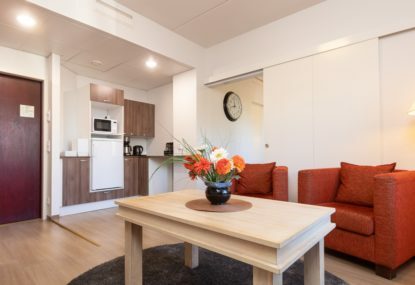 The room rates include accommodation, WiFi, linen and towels (provided once / once a week), departure cleaning, water, electricity, heating and household waste expenses. Also the use of parking area, hotel sauna, gym and Long stay lounge is included. Breakfast in restaurant Oscar can be purchased for a price of 10 €/person/day. 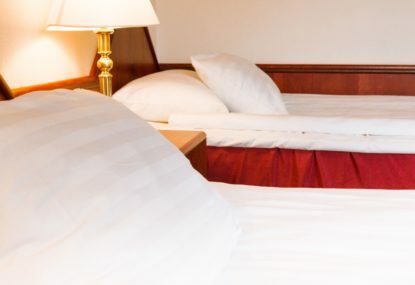 Additional services include extra cleaning and towel/linen service too.